CAS_Shooter, I personally know quite a few people in California who think the police are evil. I have to travel there at least once or twice every year and from what I have seen this is no exaggeration. When you consider that Laguna Beach is in Orange County, which used to be one of the most conservative counties in California, and that EVERY county voted Democratic in the last election, their anger at the police is not surprising at all. Hoganbeg, airslot and OldChap like this. G26Raven, BigJon10125, msgt/ret and 2 others like this. They're scattered throughout the state. All of my wife's brothers, who are in Sonoma County which is very liberal, are all conservatives. But her mother, her aunt and uncle, and all 3 of our nephews are flaming liberals, if not outright socialists. Rockymonster and OldChap like this. 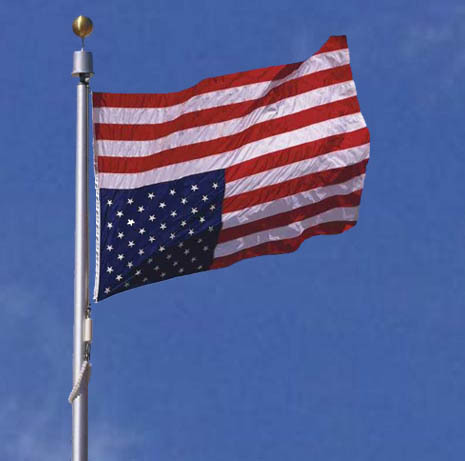 I'm quite disgusted with what's happened to our Country....my Flag flies high & proud every day !!!! G26Raven, airslot, OldChap and 1 others like this. I have the Right to remain silent....just NOT the ability !!! Carry Safe & Train hard !! I think the Laguna Beach P.D. screwed up. Instead of an American Flag graphic covering only a portion of the doors, they should have covered the entire car. I love it when liberals run screaming to their "crying rooms"! G26Raven, hogdaddy, airslot and 2 others like this. They do not deserve to live in such a beautiful area of this country. As a Californian this breaks my heart. I hope it gets better before it gets much worse, but the state has voted itself into this mess. G26Raven, hogdaddy, airslot and 3 others like this. All sincere respect, we really have no idea how many actually agree that a sicker that resembles the US flag on a cop car is seen as a negative. I would venture to say, until there is data to counter,. that the majority even in a hot bed of liberalism would not see that as offensive. Some hot bead liberals would. They get the story because it riles up the opposition. To add, if you go into a bastion of died in the wool evangelists that also happen to believe in snake handling and quote them as simply evangelists it would be used by liberals to show an unfair generality of how "evangelists" fit their stupid stereotype, negating the whole snake handling element of that population. I content it is a relative fringe of liberals that would feel "offended" by these flag like stick ons for the reason you note: there are more fringe idiots in California than most states. It would take a legitimate review of data to convince me this is an opinion of a large percentage of any mainstream persuasion. That's just me. Don't get me wrong, I know California has been headed the wrong direction for years. I was born in Salinas in 1956. I played cowboys and Indians in the streets with toy guns and holsters and enjoyed the Salinas Rodeo for all my childhood. I know it is not that place anymore. We will have to agree to disagree. I don't agree with you at all. kukla and OldChap like this. I said several things, not sure which part is what we disagree on. I agree there are many liberals with skewed views on California. Erosion of our culture by plan. The Enemy is not just at the gate, the enemy is at the wheel. xXxHeavy, Hoganbeg, airslot and 1 others like this. G26Raven, airslot and OldChap like this. It appears the conservatives there are definitely in the minority now. Rockymonster, BigJon10125, hogdaddy and 1 others like this. Well, technically that would be considered to be star/stripe bunting as VS the actual United States flag. G26Raven, hogdaddy, Hoganbeg and 4 others like this. The second fellow had the police visit, take the flag he defaced and hung upside down, and then got arrested. He later won in court though.